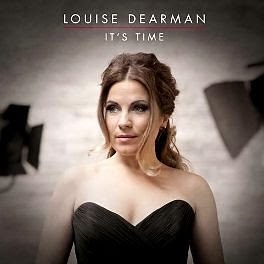 West End star Louise Dearman is certainly going to have a busy 2014. Since she finished playing Elphaba in Wicked! a couple of months ago she has released an excellent new album, is doing a series of concerts as well as embarking on her own It's Time Tour, is starring in the new Water Babies Musical at the Leiceser Curve, is publishing a book The Secrets of Stage Success with Mark Evans (who is currently starring on the US tour of The Book of Mormon). And if that's not enough, she has just announced that in the New Year she is launching an events company called Backslap which will initially offer four productions that can be performed at events including private parties, awards ceremonies and corporate events. She will run the company with her partner Andrew Eastel who is a producer/directror and choreo­grapher Ian Stroughair.The four shows being created are a burlesque show (Legs), a 1940s-themed production (Bombshells and Brylcream), an urban dance show (Swagger) and a theatre show (Curtain Call). She said: “Backslap will be my thing to have control over and it will continue underneath what I am passionate about – which is performing myself. While entertainment of this nature is not a new concept she wants to raise the bar with Backslap.Although there are some great acts and entertainment providers already out there, unfortunately we’ve probably seen or heard of more bad than good. What we’ll be providing are ‘off-the-shelf’ shows that have each been constructed from scratch by the best creative people in the business and will only ever be performed by trained, professional singers and dancers, the best you’ll find in the UK". She also revealed that the company would eventually produce its own “one-off events on a grand scale set in “a unique location with an original theme and brimming with well-known faces and voices”.